These innovation quotes are as enlightening today as they were in the past and as they will be in the future. 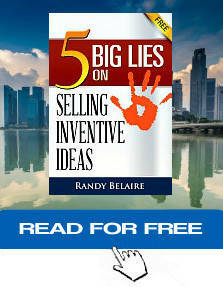 A common characteristic of inventors is their desire to improve things. People that have this trait of course do pursue other professions but their creativity is that of an inventor and innovator. So it should come as no surprise that President Abraham Lincoln, Benjamin Franklin, Mark Twain, Albert Einstein, Harry Houdini and other gifted individuals were also passionate inventors. There is a Chinese proverb that says, "The person who says it cannot be done should not interrupt the person doing it." So I've also included quotes from influential individuals who had opposed some of the world's greatest innovations. Steve Jobs started making his Apple computers in his parents garage in 1976. Jobs sold his Volkswagen van and his friend Steve Wozniak sold his HP calculator to raise $1300 to buy computer parts. Their first order was for 50 computers. One year later, they had $800,000 in sales. Five years later, Apple was a Fortune 500 company. "There is no reason anyone would want a computer in their home." ~ Ken Olson, founder, chairman and president of Digital Equipment Corp., 1977. "The horse is here today, but the automobile is only a novelty - a fad." ~ President of Michigan Savings Bank advising against investing in the Ford Motor Company. Larry Page is the co-founder and chief executive of Google. He invented the Google search ranking algorithm and has an estimated personal wealth of $32.3 billion. Mark Twain, whose real name was Samuel Langhorne Clemens (November 30, 1835 – April 21, 1910), was a humorist, author of The Adventures of Tom Sawyer and the Adventures of Huckleberry Finn, and an inventor. Twain received his first patent in 1871 (Patent No. 121,992) for adjustable and detachable garment suspenders. He also had two other inventions, a self-pasting scrapbook and a game for improving memory. Mark Zuckerberg is the co-founder, chairman and chief executive of Facebook. He invented the software code used by the social media network. In 2008, he became the world's youngest billionaire. Harry Houdini was one of the greatest magicians in history. He was also a pilot, movie actor, entrepreneur and inventor. Houdini received a patent in 1921 (Patent No. 1,370,316) for inventing a diving suit. Kettering (August 29, 1876 – November 25, 1958) was an American engineer, inventor and entrepreneur. He held 186 patents on a wide variety of inventions. Among his most popular innovations were the electric starting motor, a lightweight two-stroke diesel engine, leaded gasoline, freon refrigerant, and the first aerial missile. Kettering started Delco and was also head of research and development for General Motors. "An inventor is simply a person who doesn't take his education too seriously. You see, from the time a person is six years old until he graduates from college he has to take three or four examinations a year. If he flunks once, he is out. Abraham Lincoln received a patent in 1849 (Patent No. 6,469) for inventing bellows that attached to the hulls of ships. His invention prevented ships from grounding in shallow waters. “There is practically no chance communication space satellites will be used to provide better telephone, telegraph, television or radio service inside the United States.” ~ T. Craven, FCC Commissioner, 1961. Einstein was a famous physicist renowned for his theory on relativity, which is a pillar of contemporary physics. But he was also an inventor. Einstein, along with his co-inventor Leo Szilard, received a patent in 1930 (Patent No. 1,781,541) for inventing an eco-friendly refrigerator. Benjamin Franklin was a founding father of America. 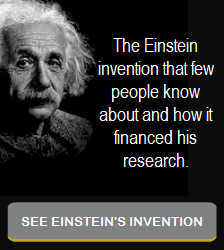 He was also an entrepreneur, author, scientist, and inventor. Among his best known inventions were the lightning rod, bifocals and the odometer. STEVEN SASSON - THE INVENTOR OF DIGITAL CAMERAS - TALKS ABOUT THE KEYS TO INNOVATION.